We’ve launched the "The FL Studio Guru Blog" with the purpose of providing video tutorials to help you get better acquainted with some of the, often, overlooked features of FL Studio. The FL Studio Guru will also be discussing topics relevant to DAW based music production. The ‘Top Tips’ section is the place to start if you like your tutorials in bite-sized chunks. Deckadance now delivers a completely new BPM detection engine with improved tracking (remember to re-analyze your library), new and DJ streamlined audio settings, more and improved setup options, iTunes playlist support, expanded native support for MIDI controllers and a new built-in Deckadance Control CD Creator, ultra-accurate timecode file for CD players. Get the latest installer and explore the huge list of additions and improvements we couldn’t find the space here to tell you about. We are excited to announce our latest remix contest. Following the huge success of our David Latour_”One_Day” contest that attracted 197 remixes from the FL Studio community, we have exclusive access to stems from his latest single Friday Night. The winning remix will be released on iTunes and its author can become an FL Studio alpha tester. The 3 best entries also get free plugins and money prizes. Entry to the contest is exclusive to registered FL Studio users. Complete our survey by March 31st and be in the draw to score any Image-Line plugin of your choice. We will draw 3 lucky participants who correctly enter their forum name at the start of the survey. Coming soon, FL Studio 9.1 update including a real-time convolution reverb plugin and the long awaited APDC (and there was much rejoicing!). While you wait you can check out the FL Guru PDC tutorial and see how easy it already is. Lifetime Free Updates! don’t you love’ em? We are proud to announce Drumaxx. 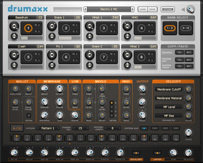 Drumaxx is a hugely flexible and great sounding percussion modelling instrument. You get total control over 16 physically modelled drum pads that can be routed to independent outputs for external effects processing. 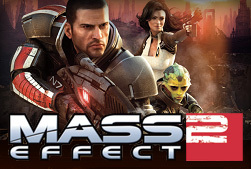 Grab the demo and check it out, what do you think it’s worth?